The following page is not so much intended as a page of items that I endorse. 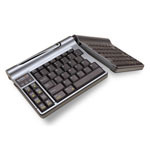 It is more a collection of the latest products in the field of ergonomic computer input as well as some top older products. It may contain ergonomic devices which I find to be useful, potentially useful, or completely bizarre, and will where appropriate have my comments and, if available, links to any review that I have done. I will clearly state where I have/have not actually used the product. The page will be updated/added to as new items appear on the market. If you are a manufacturer that would like to have your product listed or reviewed by Ergomatters please contact us. Alan’s Comments: “Humanscale make very high quality keyboard drop-down trays (with top notch construction) that are highly adjustable in position (height and angle), which some other trays neglect. 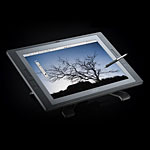 It allows the user to tailor the keyboard and mouse position to be ergonomically correct independent of desk style/type. The mouse pad is a little small for my liking, but it’s still usable. 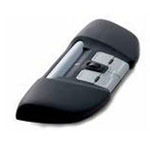 It can also be removed completely if you are intending on using a centrally positioned mouse like the RollerMouse. The downside with this system are the high number of variations of the product available, making the choice for the average consumer too hard, and they would ideally suit a tryout before ordering. All in all a standout product though”. I have used this product and have recommended it many times. 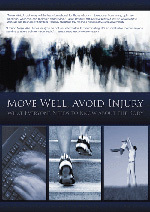 Description: Self treatment guide for pain relief. Manufacturer says: “Trigger point therapy is one of the most intriguing and fastest-growing bodywork styles in the world. Medical doctors, chiropractors, physical therapists, and massage therapists are all beginning to use this technique to relieve formerly undiagnosable muscle and joint pain—conditions that studies have shown to be the cause of nearly 25 percent of all doctor visits. 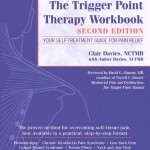 The technique involves applying short, repeated massage strokes to trigger points, tiny contraction knots in muscle tissue where restricted circulation and lack of oxygen cause referred pain. 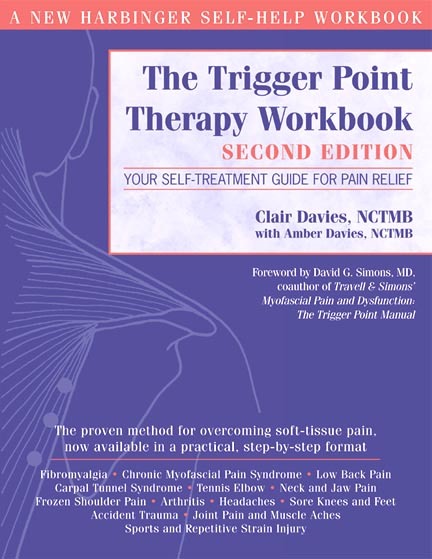 Trigger points create pain throughout the body in predictable patterns characteristic to each muscle, producing discomfort ranging from mild to severe. Trigger point massage increases circulation and oxygenation in the area and often produces instant relief. This dynamic technique has made a huge impact among health professionals and the public alike, becoming an overnight classic in the field of pain relief. The! 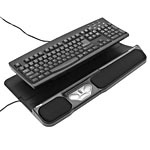 Alan’s Comments: “RSI software more often than not is a small program that sits in the background of your computer and monitors your machine usage in terms of keyboard key hits and mouse clicks. When you hit a certain number of keys or mouse clicks inside a pre-set period of time, the program will advise you to take a break, and in this case will advise on some stretching to do during that break. With this software, the historical graph plots of usage may prove a useful education tool for heavy users, and employers alike.